Are you dread of paying higher electricity bills? There is a need to cut down electricity bill and economize more money. Houses that have good amount of ventilation and airflow are more energy efficient. If you have ceiling fans at your home, you must have a control over ventilation that you know. Ceiling fans are used more strategically to achieve better airflow – clockwise will trap the heat inside and your rooms warmer during cooler months and counter-clockwise will push the hot air up in the summer. Try your ceiling fan a low setting to gently push the hot air back down. It’s not just about that you turn down the heat; using smarter technology can save more money. Smart thermostats are one of the best methods to use energy more efficiently. They can easily identify how long it takes to heat a home and then turn the heating on at exactly the right time to bring it up to temperature. The gadgets can cost a few hundred pounds, but these leading models can save customers as much as a third on their heating bills. Almost, half the money spent on the energy bills results from heating and hot water and so it’s worth it purchase a gadget, as this will keep the cost of electricity under control. Dirty air filters can make your air and heat conditioning system work harder to circulate air. If you are paying for your own heat and air conditioning, a dirty filter will add to the expense. Air filters are made from varied materials in different sizes and thicknesses. A dirty AC filter can make it harder for your AC to pump air increasing energy costs. Dirty filters also cause AC to break down prematurely, further increasing your expenses. So, you must try to change the filter after a period of three months. Most of the water heaters are simply large tanks that are designed to keep water at a set temperature whether you are using it or not. A good tip is turn your water heater temperature down during the day when you are out and then turn it back up to 120oF to heat water over night. Depending on where your water is situate, an inexpensive water heater jacket can help to reduce your heating costs. You can save approximately 3% on heating costs for every one degree you lower the thermostat. The most common type of bulbs used to save energy is the fluorescent light and LED light bulb. In the place of incandescent bulbs, you must opt for CFLs (Compact Fluorescent Bulbs) or LED models, as this use much less energy. A 13watt CFL puts as much light as a 60 watt incandescent bulb. 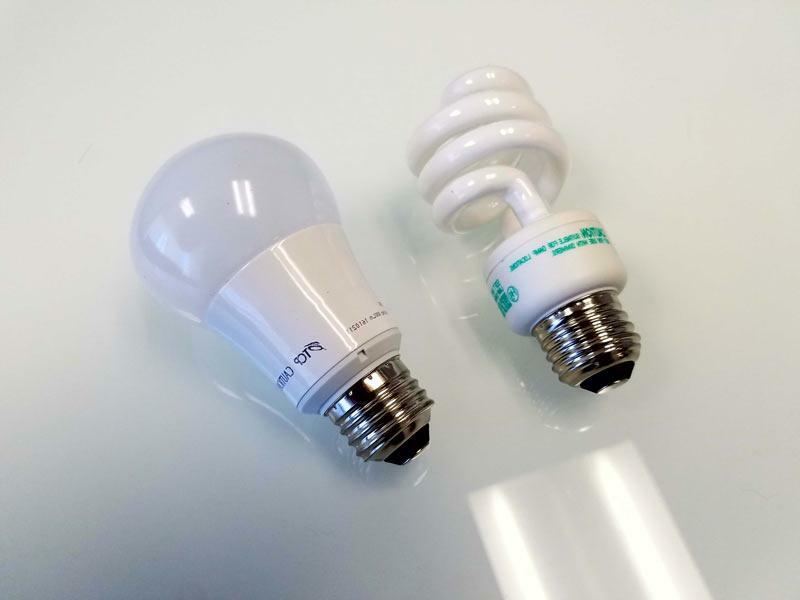 CFLs last over a long period of time and LED bulbs even more than that. The plugged electronic appliances consume energy even when turned off. For instance, 30% power is consumed by TV even when the power is turned off. Therefore, to prevent the energy loss and money, it’s better to unplug it from the electrical outlet when not in use. Even while using LEDs that is the most efficient lighting solution ensure that the lights are off during the day and every time when you exit a room at night. Electricity bills are becoming a huge burden for the customers. These can cause huge havoc if its usage is not limited. So, must follow the above stated tips as this can save a large amount of money on the electricity bills.